While many of us at the age of 17 were just beginning to decide what we wanted to do with our lives, Mark Cerny was starting his first professional job for Atari. By 1984 at the age of 18, he had a major hit with the game Marble Madness, and since then his career has taken him around the world dozens of times over. If you screw up something in your main custom chip, you could easily find that it takes six months to fix. Four decades later, Cerny knows the gaming industry as well as anyone. In 2004 he received a Lifetime Achievement Award at the Game Developers Choice Awards. He followed that in 2010 when he was inducted into the Academy of Interactive Arts and Science Hall of Fame, where he was described as a “modern day Da Vinci.” And that was all before Sony confirmed that it was pinning its future gaming hopes on him. In February 2013 at the unveiling of Sony’s new system, Cerny was announced as the lead architect of the new console, which he has spent six years working on. He was later revealed to have also been the lead architect for the PS Vita, but it is the PlayStation 4 that has made his name well known outside of gaming circles. We sat down with Cerny at a PlayStation 4 event and discussed the development of the new console, how long it all took, and the future of the PlayStation 4. You’ve become the face of the PS4 in a lot of ways. You’ve been on TV, radio, and been doing plenty of interviews. Do you ever get used to it? I got my job because I’m good in a conference room talking about hardware. That’s not really the same as being good with press or a stage. Some of the tech in the PlayStation 4 didn’t exist even a few years ago, at least not on a level that made it practical for consumers. When you first started designing the hardware, how did you plan around tech that may not have been available yet? We had six years to make the hardware, and it only takes about four years to do the actual engineering, so we had two years to figure out what we wanted to make the PlayStation 4. And we looked at a huge variety of technologies, including some that were just coming into possibility. In the end we decided that we could hit sort of a sweet spot by working with AMD’s PC technology, the CPU and GPU, and then aggressively enhancing the GPU for that long-term growth. A lot of the streaming stuff, like the upcoming Gaikai service, wasn’t even possible six years ago. So how much did the design change as the technology around you changed? Well, with regards to the video compression, we stuck in what we thought was a lot of stuff, and we knew that we’d figure out the details later. The full process was that we had about two years to figure out what sort of hardware we were making, then two years to really nail it down and start out custom chip designs. Then two years to work on that larger user experience that surrounds the games. But everything that you can do that’s not a feature of that particular game you’re playing – so things like sharing and screenshots and videos – is really our last two years of work. Did the hardware development determine the release date, or did the release date determine the development cycle? We’d been targeting Holiday 2013 for many years, but with hardware, you never quite know if you’re going to be able to reach the date. If you screw up something in your main custom chip, you could easily find that it takes six months to fix. And then you end up out of your targeted launch year. But none of that happened, so we’re releasing. In fact, another [thing] you can say … it’s hard to manufacture enough units to hit all the markets you want to hit. So previous hardware, we couldn’t go international quickly. PlayStation 1 and 2 were very staggered; PlayStation 3 started in Japan and North America, but Europe was much later. That relates to just the difficulties of doing your engineering early enough to build enough to have it in stores. Because if each country doesn’t have the right amount, it sells out too quickly and you have unhappy customers. It’s hard to manufacture enough units to hit all the markets you want to hit. In the case of PlayStation 4 though, not only do we have large numbers of pre-orders, we have the largest builds of hardware that we’ve ever had over any previous console. It’s our most successful launch to date in those terms. So you finalized the hardware two years ago? So how did the vision change leading up to where you were comfortable enough to lock it down? For the user experience, we put that together over the course of few months. We had a splintered working group. Many members and groups across Sony Entertainment, as well as people from other groups across Sony, [and] guys from game teams. It was a long series of brainstorming sessions, trying to work out what sort of feature set would seem compelling to the game-playing audience. What about the hardware side? Well the innards were something where we really need to know what we’re doing four years out. So I had gone around in 2008, 2009 and toured 30 something development teams, talking to them about what sort of features they’d like to see. But I couldn’t admit to being actively working on PlayStation 4, so we disguised it as a “questionnaire” as to what they though the future of video game consoles would be like. We didn’t fool anybody. They knew that we were asking about PlayStation 4, and they told us what they wanted, and much of what you see in the console is that feature set. Post-release updates and patches have become a common tool. 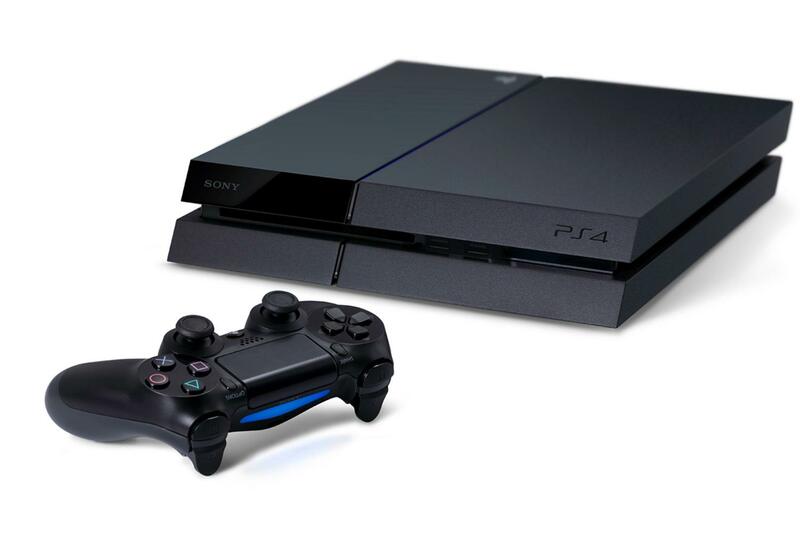 How has that changed the nature of how you design a system like the PS4? Well, there’s definitely a very different culture in the hardware team than there is in the software team. So the software team, we shove in as many features as we possibly can before we mass drop; and then most of them work, some of them don’t, that’s why we patch. In fact we’ll keep shoving features in until day one patch has to go out, right? And the players love it. That’s part of how they can get games with all of that stuff in there. And if we were rigidly adhering to some sort of scheme … Just to give one story [in] Uncharted 2 half of the movies in that game went in after beta, so we benefit a lot when the software developers are so aggressive. But with the hardware team it’s all about risk. You get one shot at it, and if it doesn’t work it’s potentially a six-month schedule to go fix it. So the hardware teams think about risk. Anything they talk about is “what is the risk of doing that?” Whether it be a feature set inside of the chip or the power consumption of the chip, or the like. Just to give one story – and this is not about us – but a competitive hardware had a red ring of death… My belief is that it’s the custom chip, because it is so hot that it expands, and when it cools it contracts and it actually walks back the pins – the pins walk off the pads they are connected to after a certain number of heat cycles. And that was a $2 billion public cost to address it. And so much of what you are doing with hardware engineering is trying to avoid the risk that anything like that may happen. So part of your job is to make sure it won’t break. Well, in this case you are trying to approach it all with a certain conservatism. What sort of a lifespan do you see the PS4 having? A year or two ago if you asked the analysts, they’d all say how consoles were dead. We were soldiering along, finishing the games and getting ready. By February we announced and it was “maybe they aren’t dead,” and by E3 a million people were just waiting for them to arrive. And then Grand Theft Auto sold 20 million copies in three days. It’s very clear that consoles are alive and healthy. What happens in the next five to ten years, it’s almost unpredictable. We know a few things. We know that the user experience that surrounds the games will evolve, but we don’t know how it’s going to evolve. I mean look at how much things changed over the life of the PlayStation 3. We went from no download content for a major game, to pretty much all of them having download packs. We know that games will get graphically more attractive, and their worlds will get more attractive because developers will figure out how to tap into that potential in the hardware. But what they do with that, that’s part of the fun, right? You don’t know what’s going to happen.